The C-Cube is a digital dermoscope that is easy to use allowing you to capture images of skin lesions in Ultra High Definition. By only using metric colour calibration, the C-Cube attains unrivaled image quality and precision. 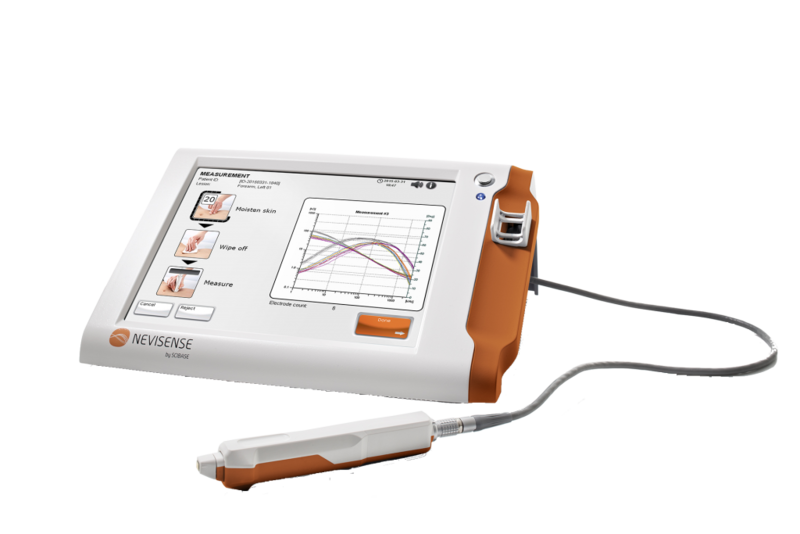 Nevisense is the first diagnostic support tool to utilize Electrical Impedance Spectroscopy (EIS), an innovative method that provides objective information drawn from atypical lesions.